Returning for the second year, the SAFRA Entrepreneurs’ Marketplace is a curated showcase of a variety of homegrown innovations and ideas by budding entrepreneurs. All visitors will take home an exclusive Goodie Bag. 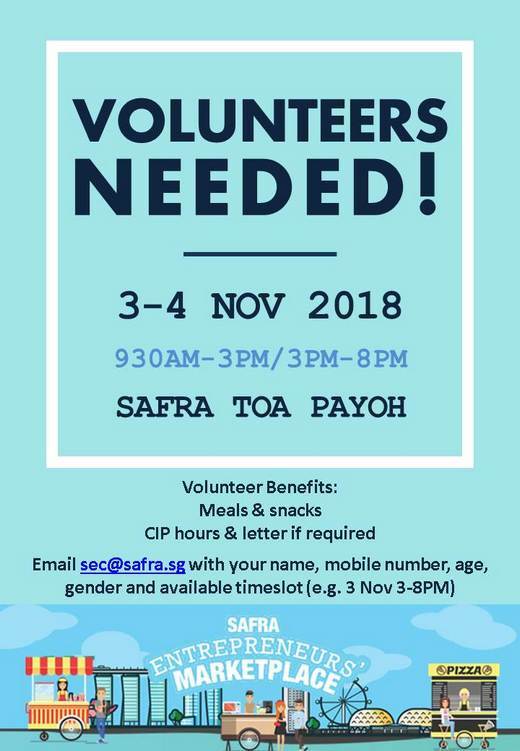 How to sign up: Email sec@safra.sg with name, NRIC, contact number, gender and date of birth.